All ticket prices increase by $5 on the day of the show. Doors open at 6:00pm. Tickets available at the Palace Theater Box Office window or over the phone with a credit card at 808-934-7010. General Admission Tickets also available online! 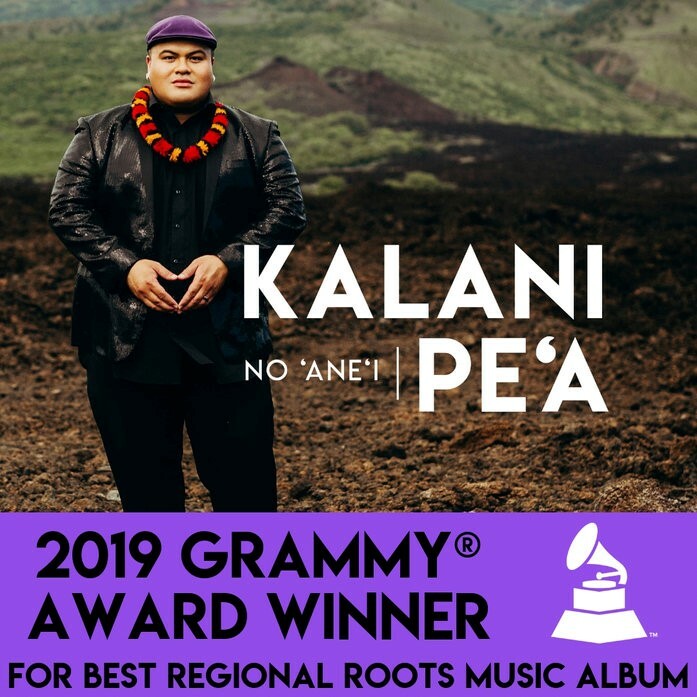 2019 Grammy Award Winner for Best Regional Roots Music Album, KALANI PE’A comes to the Palace Theater this summer to perform music off of his sophomore release NO ‘ANE’I (We Belong Here). At it’s core, NO ‘ANE’I is a celebration of Hawaiian Identity. 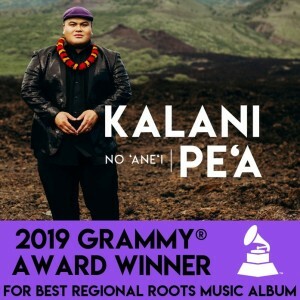 A lovely blend of traditional and modern sensibilities bring Kalani Pe’a’s compositions to life. 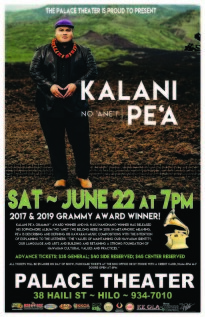 Sure to be a memorable evening of cultural importance and dance-able tunes, don’t miss out on your chance to see KALANI PE’A live in concert.